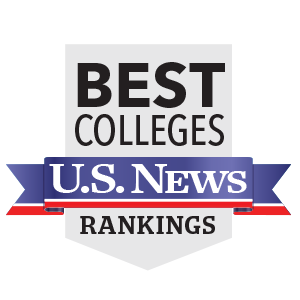 U.S. News helps students determine their college of choice by making almost 50 different kinds of numerical rankings available. Wilson College is ranked ninth in the “best value” category among regional colleges in the North. Colleges of Distinction takes a unique angle as a college guide. They ask, which colleges are the best places to learn, to grow and to succeed? Wilson has been named one of the nation’s Colleges of Distinction for its “commitment and proven achievement” in four areas: engaged students, great teaching, vibrant community and successful outcomes. It also includes a review of each institution’s freshman experience, as well as its general education program, strategic plan, alumni success and satisfaction levels, among others. 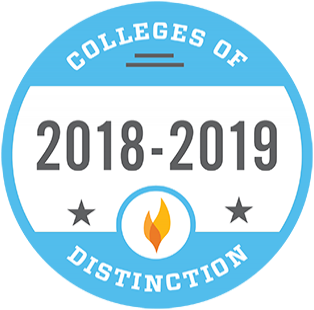 “Colleges of Distinction applauds Wilson College for pushing the envelope with its up-to-date curriculum, enriching the college experience with high-impact educational practices and providing every student with an education that stretches far beyond what’s typically required from an academic major,” said Tyson Schritter, chief operating officer for Colleges of Distinction. According to Schritter, Colleges of Distinction is more than an annual ranking. “Our goal is to select the best schools that are 100 percent focused on the student experience and on producing the most well-rounded graduates who are prepared for a global society and economy,” he said. Colleges of Distinction recently recognized three Wilson areas of study as Programs of Distinction. The College's programming in business, nursing and education have been cited for "enriching professional programs with a stellar foundation in liberal arts. takes a unique angle as a college guide. Wilson College not only engages competent future employees in nursing, education and business but also inspires them to be critical thinkers with unique, well-rounded insight." 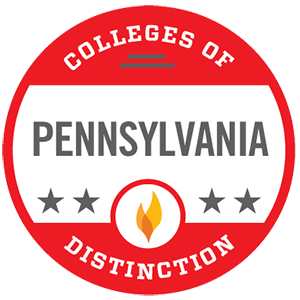 As with Colleges of Distinction, Wilson programs were evaluated on achievement in four areas: engaged students, great teaching, vibrant community and successful outcomes, and for continuing "to be an outstanding representation of teaching-centered colleges that provide elements crucial for student development." 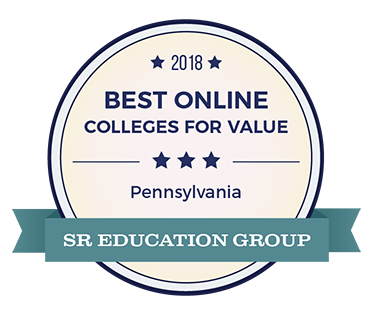 Ranked for strong academics and affordable tuition, Wilson College was chosen as one of the best online colleges for value in Pennsylvania. College Ranker lists their top 40 of the best farm colleges in the United States based on hands-on experience, student involvement, community outreach programs, volunteering opportunities, degree plan options, workshops, classes and lectures. Fulton Farm of Wilson College ranked #24 on the list as an environmental educational facility and a working produce farm which produces crops for the campus and the community. Fulton Farm offers vast opportunities for student and community education with classes, internships, work-study jobs, and volunteer service hours. College Values Online chose their top 30 sustainable college run farms on the criteria of farm size, organic status, animal components, academic courses, and sales to the campus dining hall, CSA and off-campus venues. Fulton Farm of Wilson College came in at #19 on the list by growing vegetables, fruits, flowers and herbs that are raised without chemical pesticides, herbicides or fertilizers. Fresh food is sold to the college dining hall, via a CSA and the local North Square Farmers Market. Affordable Schools shares the best quality, affordable online and traditional degree programs for students searching for colleges. Wilson College is ranked as #13 on the list of 25 most affordable online master's of nursing degrees. Wilson’s online Master of Nursing program provides nurses with a flexible, affordable option to obtain their master’s degree. This online program provides students with a supportive, personal experience not often found outside of the classroom.